E.A.V.I. 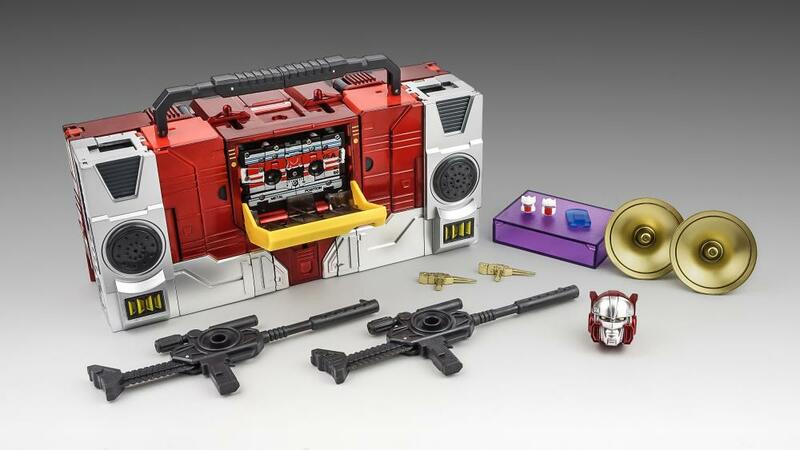 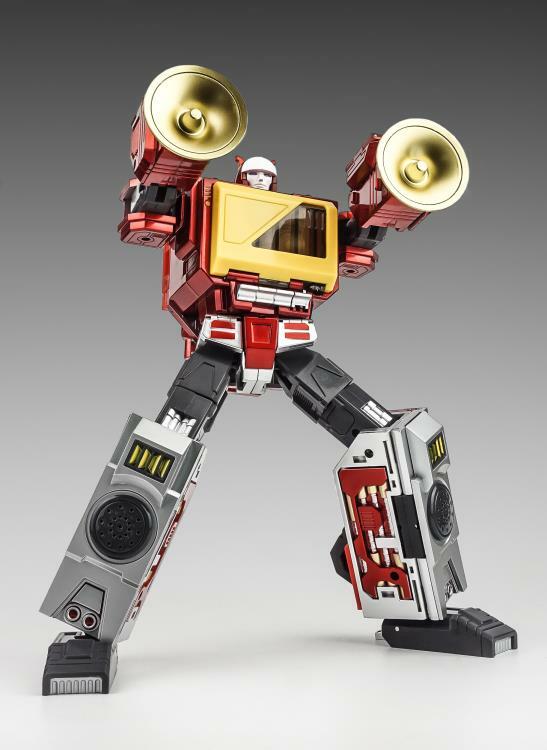 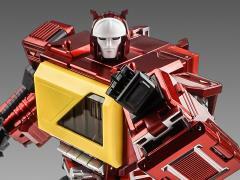 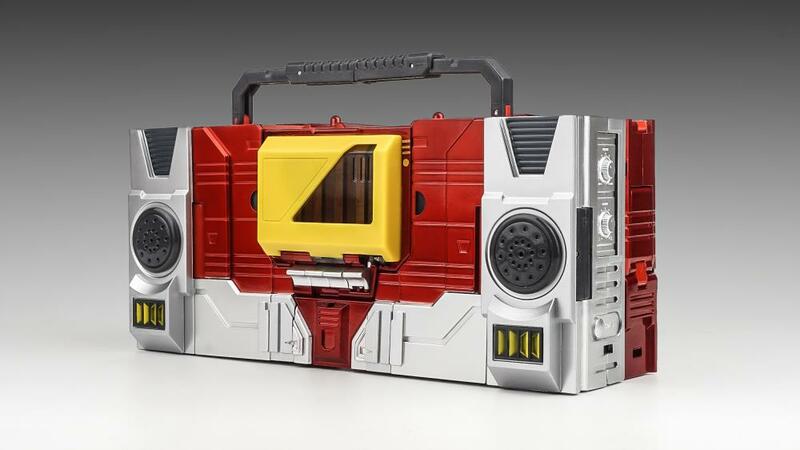 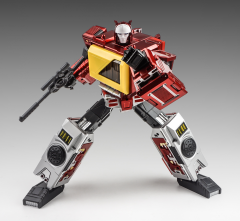 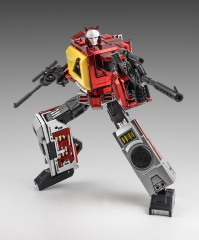 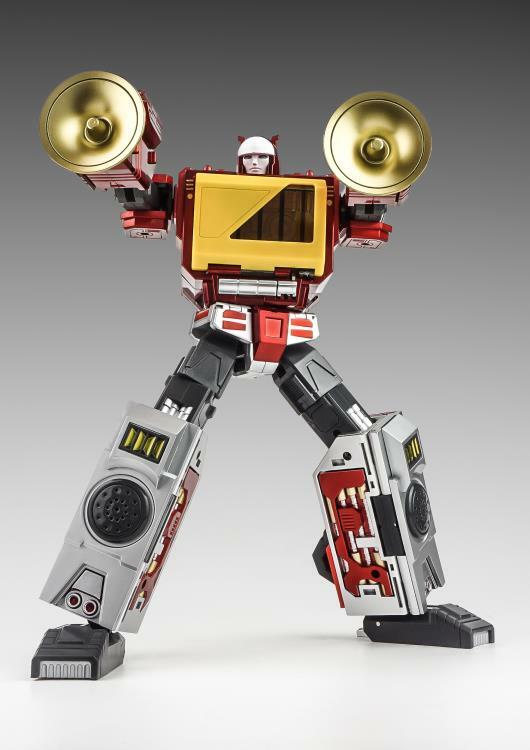 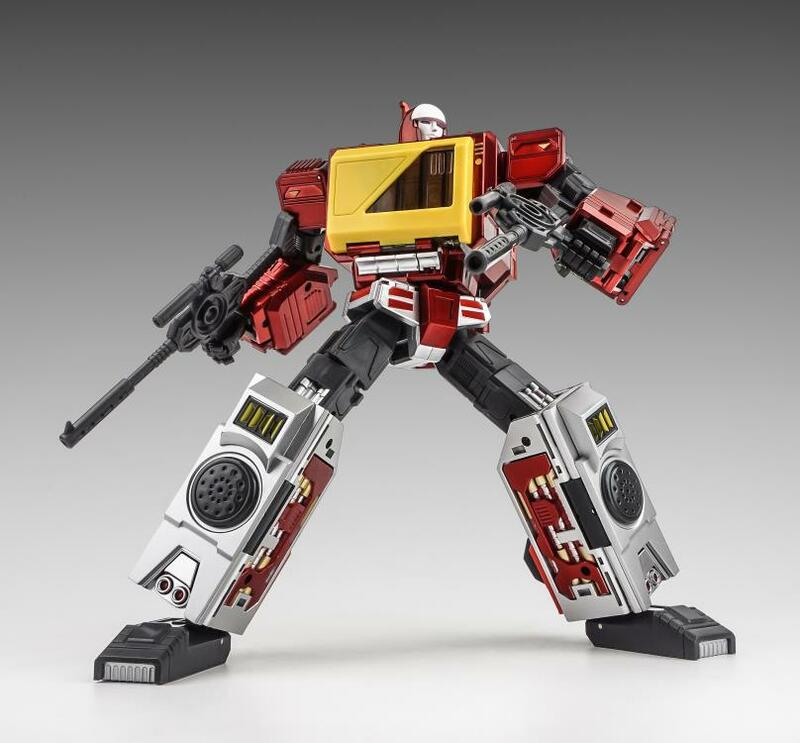 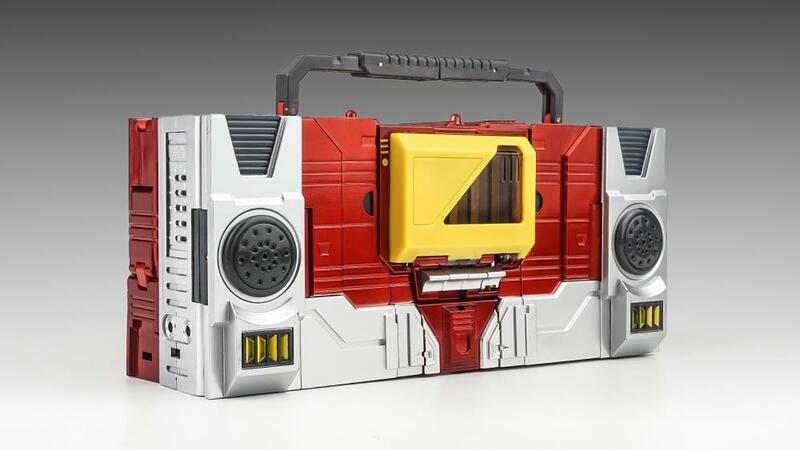 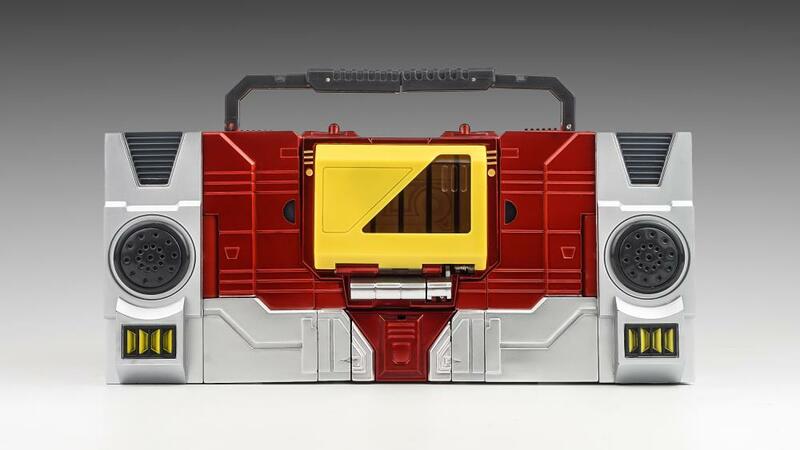 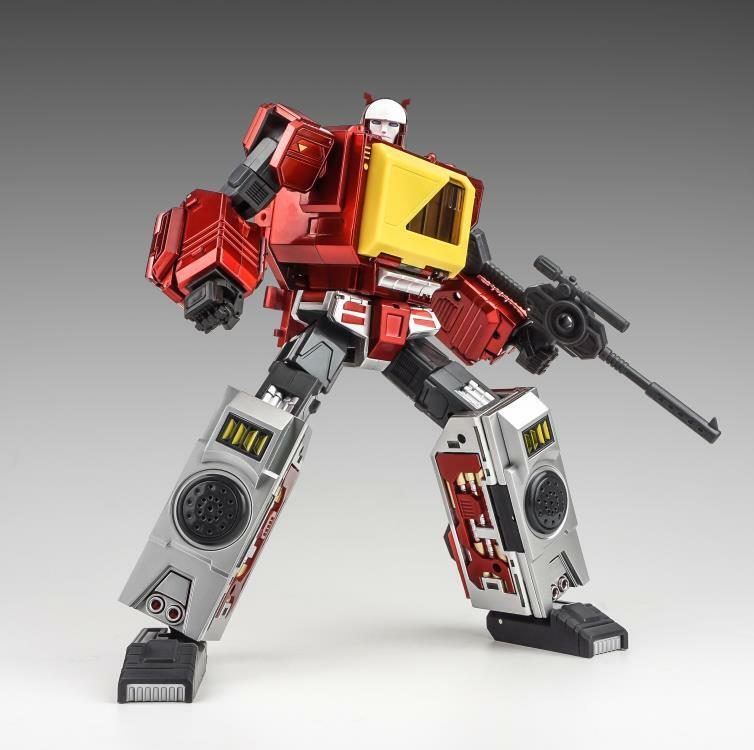 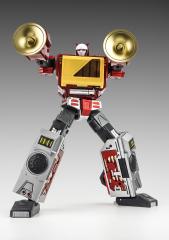 Metal Phase 4-A Transistor stands 23.5 cm / 9.4" tall in robot mode and transforms into a boombox. 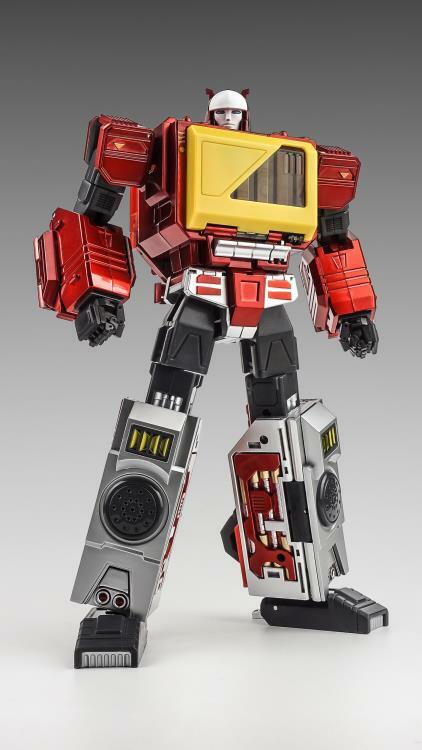 Transistor’s chest opens up and is able to hold up to 3 KFC cassette tapes.